Because they honor an artist’s entire career, lifetime achievement awards can be tricky. They’re especially gratifying, for they imply that you had more than one or two peak moments, and sustained excellence over a long period. But they also come with the unspoken implication that maybe your career is over, or at least winding down. On January 10, the day of the award ceremony, DeJohnette found himself surrounded by his peers. As part of the concert at Jazz at Lincoln Center, he joined his fellow 2012 inductees-vocalist Sheila Jordan and trumpeter Jimmy Owens-and 1998 NEA Jazz Master Ron Carter onstage to play Ornette Coleman’s “When Will the Blues Leave.” The tune began with an unaccompanied drum intro in which DeJohnette’s precisely tuned toms rang like bells to suggest the theme as well as its groove. As he had so often throughout his career, he provided both the blood and the bones for the music. Earlier in the day he had encountered Roy Haynes, a 1995 Jazz Master, in the lobby outside the awards luncheon at the Jumeirah Essex House. The two drummers greeted each other with an impromptu tap-dancing showdown, slapping the white-marble floor with their street shoes. The bald-domed Haynes chopped up the time with duplets, triplets and pauses using nothing but the palms of his hands and the soles and heels of his shoes-and he put a period on the solo by stepping forward with a right-foot stomp. DeJohnette, his own short Afro speckled with gray, leaned back and laughed, then answered with a mind-boggling combination of his own. Back and forth it went for several minutes until the exhausted old men fell into a bear hug. But DeJohnette is not content to hang out solely with other long-established legends. Although he spends a lot of each year with one of the most stable, most productive small groups in jazz history-Keith Jarrett’s Standards Trio with Gary Peacock-DeJohnette continues to pursue his own recording projects and tours. And he continues to hire the best young musicians he can find to keep his music fresh-just as he once did with David Murray, Greg Osby and others. Two nights before the awards ceremony, DeJohnette brought his regular road band to the Blue Note in New York’s West Village. This was the quintet featured on the digital-only live album, Live at Yoshi’s 2010: DeJohnette, alto saxophonist Rudresh Mahanthappa, keyboardist George Colligan, guitarist David Fiuczynski and bassist Jerome Harris. For this special “70th Birthday” show-DeJohnette hits that milestone in August-the quintet was supplemented by three musicians from the Sound Travels session: Akinmusire, percussionist Luisito Quintero and saxophonist Tim Ries. 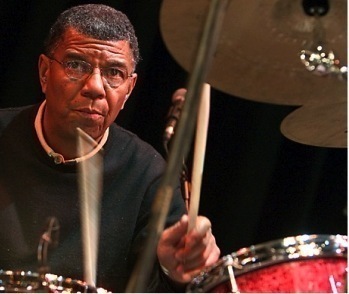 It was fascinating to watch DeJohnette, with his weathered face and salt-and-pepper hair, surrounded at the Blue Note by much younger musicians. After all, between 1966 and 1968, he got his start as the new kid from Chicago hired by John Coltrane, then Charles Lloyd, then Bill Evans and eventually Miles Davis to give those established musicians a shot of adrenaline. From recordings and videos back then, you can hear his irrepressible energy and unquenchable fountain of ideas being shaped and directed by his more experienced leaders. Now, in a role reversal, he’s the bandleader hiring bright talents at the beginning of their careers and molding their outpourings. “Miles was once the young guy who played with Charlie Parker and Monk,” DeJohnette points out, “and Charles had played with Chico Hamilton and Cannonball Adderley. But Miles was also interested in Sly Stone, the Beatles and Hendrix. Charles had started playing for Bill Graham at the Fillmore on bills with the Jefferson Airplane, Janis Joplin and the Grateful Dead. But while Miles saw the Beatles and Santana as a different generation, those groups were my age. As younger musicians we had a connection to those bands that the older guys could never have. As a kid in Chicago, DeJohnette took classical piano lessons for 10 years before he became the drummer in his high school band. Unlike many keyboard students who switch to another instrument, he never gave up the piano but continued to practice and perform on it. This is crucial not only to his composing but also to his use of pitches and timbres when he’s drumming. He has released several keyboard records and even appeared as a guest on Marian McPartland’s Piano Jazz on NPR. 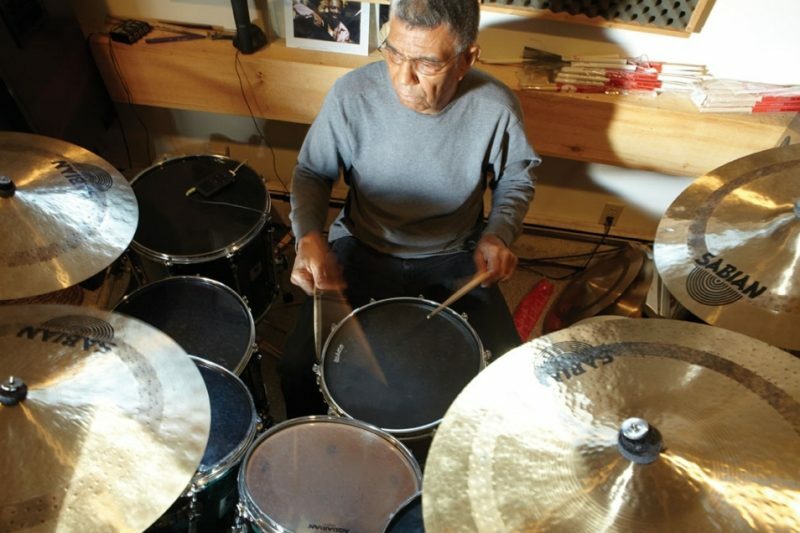 On Sound Travels, DeJohnette plays both drums and acoustic piano on almost every track, sometimes switching between the two, sometimes overdubbing the piano later. DeJohnette learned dynamics from working with singers, he claims. He soon learned that his main job was to make the singer sound good; he could play loud when the vocalist laid out, but he had to downshift in a hurry when she came back in. He played with Abbey Lincoln, Gloria Lynne and Natalie Cole, but Betty Carter was the best teacher; she would conduct the band and control the dynamics with her hand signals. After a while, he no longer had to watch for her signals because he knew what she wanted. Sound Travels is marked by its extensive use of vocals. “Oneness,” which originally appeared on the 1994 Homecoming album by Gateway (the trio of DeJohnette, John Abercrombie and Dave Holland), is transformed by Bobby McFerrin’s wordless vocal. Though the two men have been improvising for more than 30 years-often as a trio with Chick Corea-this is the first time they’ve recorded a composed piece. 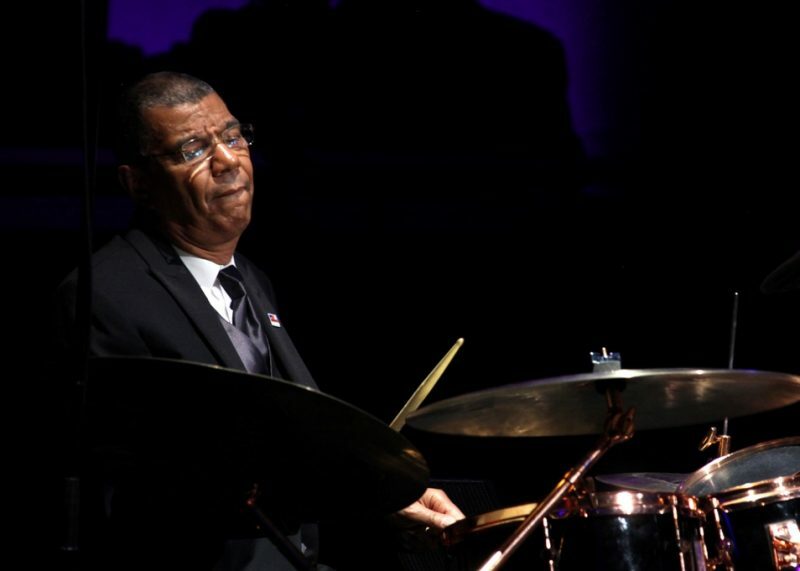 “Salsa for Luisito” was written as an instrumental, but Spalding came up with a vocal line that DeJohnette liked so much that he not only kept it but also asked Quintero to create a Spanish chant over the percussion duet later in the piece. 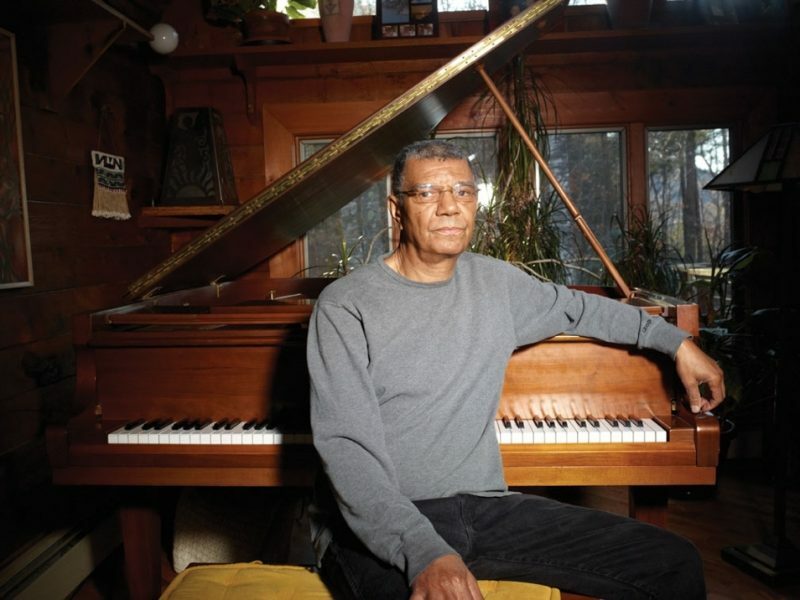 “Dirty Ground” also began as an instrumental, but when DeJohnette felt it heading in a singer-songwriter direction, he called his friend Bruce Hornsby. The drummer had played on the rock ‘n’ roller’s 2007 jazz project, Camp Meeting, and knew Hornsby had decent jazz chops. The latter responded by writing lyrics about the recovery from Hurricane Katrina and singing them. “I’m a big fan of Levon Helm and the Band,” DeJohnette reveals, “as well as Professor Longhair, the Neville Brothers and the Wild Tchoupitoulas. I told Bruce that I wanted the tune to sound like the Band meets New Orleans. I was so impressed by what he came up with that I sent him another piece to write some lyrics for. We may release that as a bonus track. Read Nate Chinen’s profile of Hudson, the supergroup featuring Jack DeJohnette, John Scofield, John Medeski and Larry Grenadier.